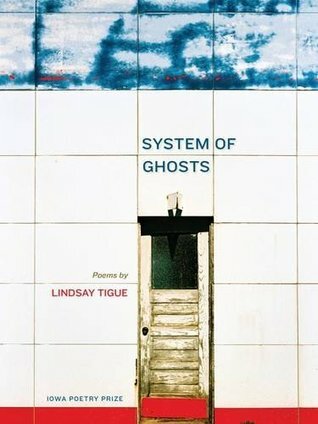 System of Ghosts by Lindsay Tigue is the 2015 Iowa Poetry Prize winning collection. Tigue was a Tennessee Williams Scholar at the Sewanee Writers’ Conference and has received a James Merrill fellowship from the Vermont Studio Center. She is a graduate of the MFA program in Creative Writing and Environment at Iowa State University and is a current Ph.D. student in Creative Writing at the University of Georgia. For the 2015 to 2016 academic year, she will serve as assistant to the editors at the Georgia Review. The Iowa Poetry Prize is an annual event that I always look forward to. It always brings forth young poets and presents them to the world. I am a bit like a child who can’t wait until Christmas. I usually review these books too early. I did hold off for three months before reading this a month early. Tigue seems to write from almost snapshots of memories or images. The detail and experience of her writing conveys the reader to a place and moment in time and presents what seems to be a first-hand account or shared memory. The descriptions are vivid, whether a common experience of traveling on an airplane or more complex interactions with others. She also brings to life images of history and geology with the action of plate tectonics. There is also something of Percy Shelley’s “Ozymandias” in “Progress Without End”, the motto of Pullman company, whose greatest works are now diners or scrap. System of Ghosts is vivid, personal, and cordial. It is a near perfect collection of poetry that remains in a traditional form and does not deviate from convention just to be different. The relationships between people (and pets) are warm and the places are familiar. Tigue is able to capture and develop memories ways I could only dream of. Although different from my memories I read and say out loud “Yes, this is what I want to say!”. Even her poem “Leap” of her twelve-year-old experience at the aquarium snapping picture after picture of the dolphins being fed and leaping from the water, Tigue manages to capture a bit of a shared memory. The pictures are blurry and her mother asks why waste so much film on grainy dolphin pictures, yet she cherishes the pictures. I think we all had that imperfect reminder or picture we held on to as a child — something so common place to adults but very special to us as a child. Tigue presents an outstanding collection poetry that is worthy of attention and shows the average reader that poetry can be for everyone and that there is a common connection between us all.